Thank you for your desire to serve! We don’t take it lightly, and we want to find the best fit for you. Check out the opportunities below, and use our sign up form to get started. During each worship gathering, we help kids worship & grow in Jesus. We have a blast learning together in an environment where they can develop strong friendships. If you love kids and want to meet people, consider this fun serving opportunity! Arrive early to welcome guests and assist with registration. Contact Peggy at peggy.baldwin@journeyweb.net or call Journey (406) 922-0190 for more information. Every Sunday we offer coffee and tea to our guests at Journey. Let’s face it, life is better with a little caffeine! To find out how you can help, please email Whitney Riviere at whitney.riviere@journeyweb.net. The Greeters are the team of folks who welcome people at the door at every worship gathering. To be a Greeter, please contact Whitney Riviere at whitney.riviere@journeyweb.net. Our Info Table helps welcome people, connects them to ministries and events, or ushers them to ministries around the building. If you have a passion for people and hospitality, contact Whitney Riviere at whitney.riviere@journeyweb.net. The meal team serves by preparing meals for our Worship & Tech Team on their rehearsal nights and nutritious snacks for when they’re serving during our worship gatherings. Contact Whitney Riviere at whitney.riviere@journeyweb.net to serve on this team. Every Wednesday night we gather to pray for each other, our community, our country, and our church at 5:15 pm at the Commons. All are welcome. Prayer team members pray during each worship gathering and for anyone desiring prayer after the worship gatherings. Sign up to pray during a worship gathering by calling Gail Fremont at 539-1943. This vital ministry turns the auditorium into a worship center on Sunday mornings before every worship gathering. It’s a once-per-month commitment. To join a team, please contact Whitney Riviere at whitney.riviere@journeyweb.net. Our student ministry teams create an environment that allows students to encounter God, build meaningful friendships, and have fun! 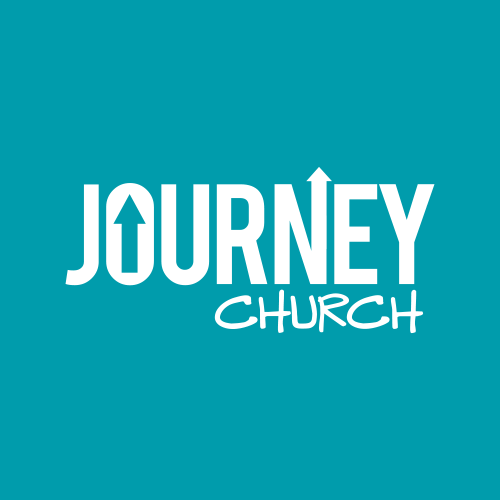 If you are interested in serving in either our high school ministry or our middle school ministry, contact Mark Archilla (406) 922-0190, mark.archilla@journeyweb.net. The Tech Team prepares and operates the audio, video, and lighting systems during the Sunday Worship Gatherings. Prior experience is not necessary. Anyone can learn to be a camera operator, graphics operator, producer, or video director. This is a great team to join if you like to learn new things. Most people serve one Sunday a month. For more information, please contact Sam Bennett at bennett@journeyweb.net. Ushers help people find a seat and collect the offering. To be an Usher, please call Rob Ruebusch at (406) 570-4999. This is for the musically inclined. If you play an instrument or are a vocalist, you might like to serve with the band. Each fall and spring we also put together an adult choir to incorporate into our worship gatherings at Journey. If you’re interested in being in our next choir or serve with the band, contact Brandon Edwards at brandon@journeyweb.net or (406) 922-0190. Journey partners with Family Promise, a non-profit organization that provides safe shelter, meals, and support services for homeless families through programs designed to address the underlying causes of homelessness. If you would like to serve in this vital ministry, please contact Laci Mottice at jfamilypromise@gmail.com or (406) 551-0838. Volunteers are vital to the success of the Warming Center that opens annually from November to March. Contact Alyssa Hjelvik at vista@thehrdc.org or (406) 585-4879 if you would like to volunteer. If you would like to donate to our neighbors in need please contact Adam Poeschl at warmingcenter@thehrdc.org or (406) 585-4896.